This course teaches the art of guessing results and solving problems without doing a proof or an exact calculation. Techniques include extreme-cases reasoning, dimensional analysis, successive approximation, discretization, generalization, and pictorial analysis. Applications include mental calculation, solid geometry, musical intervals, logarithms, integration, infinite series, solitaire, and differential equations. 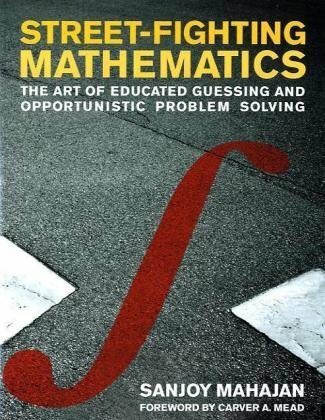 Designed for those who haven't had college mathematics but would like to understand some applications: Cryptography; Error correction and compression; Probability and Statistics; Birth, Growth, Death and Chaos; Graph Theory; Voting and Social Choice. From the table of contents: Weierstrass's Theorem; The Polynomial of Best Approximation Chebyshev Polynomials; Approximations to abs(x); Trigonometric Polynomials; Inequalities, etc; Approximation in Terms of Differences.